Looking for the best way to wake up on time? Want to get the loudest alarm noises? 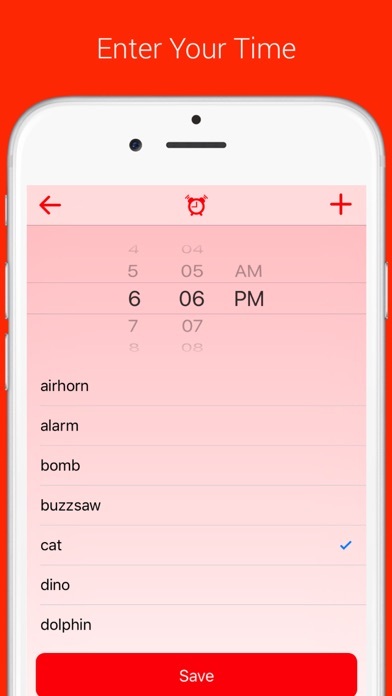 Check out Loud Alarm Clock FREE - Wake Up On Time!! ~~~ TOP RATED ALARM APP ~~~ $$$ VIP EARLY RELEASE SALE $$$ *** Usually $1.99, but FREE for TODAY ONLY *** Loud Alarm Clock FREE - Wake Up On Time! is the best way to set the loudest alarms. 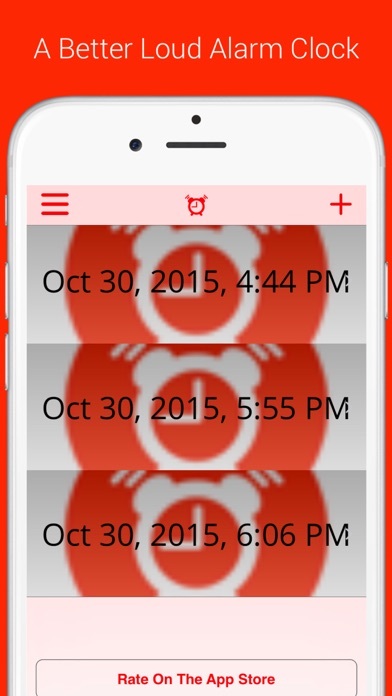 Just open the app, create an alarm, select your time, and pick your sound. Check out Loud Alarm Clock FREE - Wake Up On Time!! ● Simple, quick, and easy to use ● The loudest alarm clock noises ● Never sleep in again ● FREE to download ● Simple and easy-to-use layout. ● Direct-to-developer support Listen to what some of our users have said: ● "Really loud and easy to use. " - Meg ● "Best alarm clock app available by far..." - Dave ● "I love the noises, plus its FREE!" - Laura Loud Alarm Clock FREE - Wake Up On Time! is partially translated to support the following languages Arabic, Dutch, English, Finnish, French, German, Greek, Indonesian, Italian, Japanese, Korean, Malay, Norwegian, Portuguese, Russian, Spanish, Swedish, Thai, Turkish, Vietnamese. This app is worthless as it dose not have clock !!!!!!!! I cannot find my set alarms anywhere! Such a waste of time and money. Where is my alarm clock? The alarm never sounded. The only thing it did was send a notification that said alarm. Not good! White screen no clock. Lots of ads. Why did Apple allow this app to be offered on the App Store? I'll see once I use it. I hope it works. I've tried many alarm apps, but not all works.